Doug Brooks, chief executive of Rameau, Porter & Brooks, is announcing the commencement of a regional charity event taking place over the next few months to promote autism awareness and raise local support for autism families residing in the greater Washington DC area. “We’ve seen a recent spike in the diagnosis of autism nationwide, and our firm is pushing for improved research initiatives that will help make resources available for autism families in our area,” said Brooks. The firm plans to promote donations during the charity drive via a community endorsement campaign. 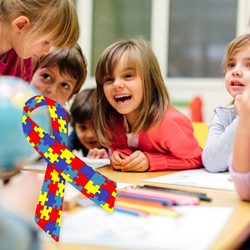 Throughout the course of the event, Rameau, Porter & Brooks will pay a monetary donation to support autism research for each person referred into the firm to receive a no-obligation insurance quote. More information on the charity drive is available from this page: http://rameauporterandbrooks.com/rewards/. As a Personal Finance Representative in central Maryland, agency principal Doug Brooks knows many local families. His knowledge and understanding of the people in his community ensures that clients of Rameau, Porter & Brooks are provided with an outstanding level of service. Doug and his team look forward to helping families protect the things that are most important – family, home, car and more. Rameau, Porter & Brooks also offers clients a preparation strategy for achieving their financial goals. To contact an expert at Rameau, Porter & Brooks, visit http://rameauporterandbrooks.com/ or call (301) 292-8100 in Fort Washington or (240) 770-0097 in Lanham.